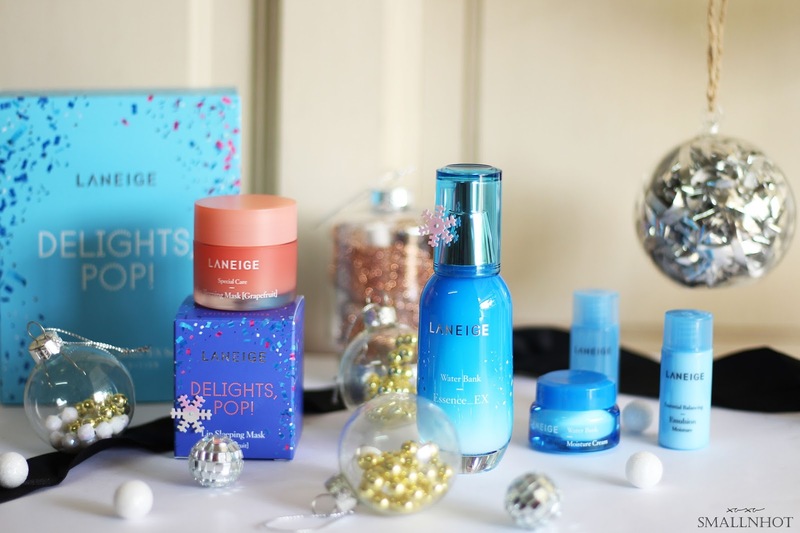 LANEIGE has introduced a fantastic range of holiday products this Christmas season all wrapped in pretty festive designs. The "Waterful, Pop!" Holiday Collection featuring limited editions of the brand's best-selling, Sleeping Mask, Mini Sleeping Mask Sets and more. Scroll down to check it out.. The heat, party exhaustion and holiday stress all can add up to a very thirsty skin. 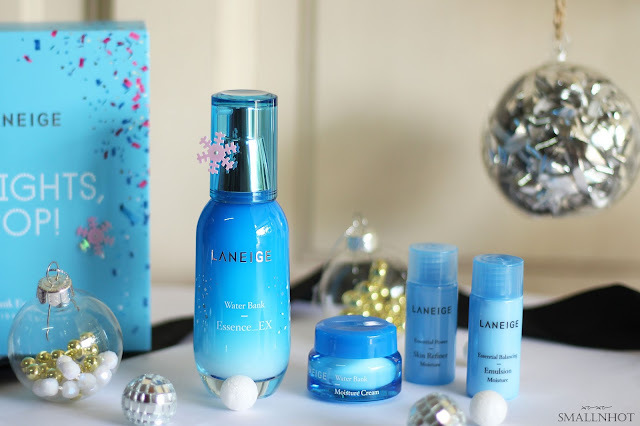 So stay hydrated this holiday season with LANEIGE "Waterful, Pop!" gift sets. This is a great starter set for those who are looking for natural, flawless and glowing skin before and after a hectic holiday season. It includes : Water Bank Essence (full size), Water Bank Moisture Cream, Essential Power Skin Refiner and Balancing Emulsion. With all the parties crowding your holiday calendar, the Basic Moisture Set is to set your skin into the right track with the perfect moisture balance. You will get a full size of the Essential Power Skin Refiner, Balancing Emulsion, deluxe size of Water Bank Essence, Water Bank Moisture Cream, Water Sleeping Mask and Mini-sized Gift Card too. Don't forget to pamper your lips too. The Holiday Edition Lip Sleeping Mask set is packed with colourful confetti case design, and includes all four refreshing variants - Berry, Grapefruit, Apple Lime and Vanilla. 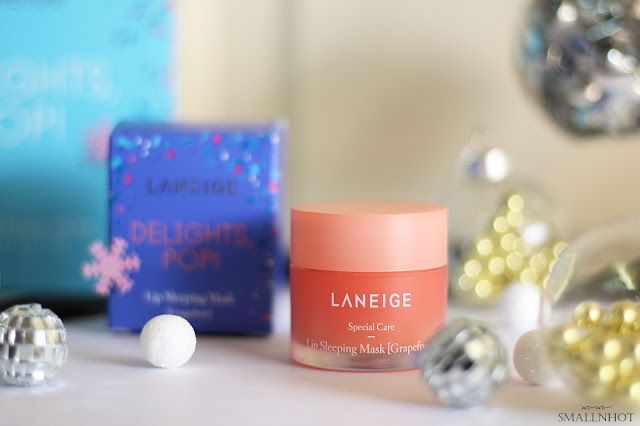 Get hydrated with LANEIGE Holiday Mini Sleeping Mask Set. This is a perfect set to get if you are new to the Sleeping Mask and wanted to try out the product without committing to one, because it includes all three different sleeping masks - Water Sleeping Mask, Water Sleeping Mask Lavender and Firming Sleeping Mask. As usual, LANEIGE Waterful, Pop! Holiday Collection is available at all LANEIGE beauty counters and boutiques nationwide from mid November 2017 onwards. Also available on Lazada SG.